These icons are each a parent emoji to one of the four new Animoji characters being introduced to iPhone X in iOS 11.3. This emoji update brings the designs of these four icons in line their new face-mapped incarnations: a nice bit of attention to detail, it must be said. 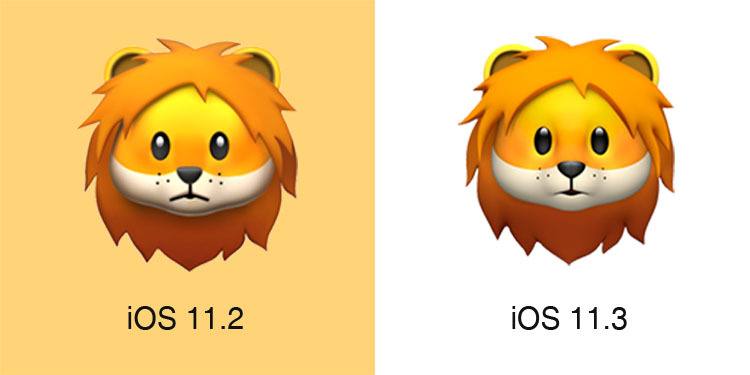 The 🦁 Lion Face has had its morose mouth tweaked to be less dour, while the muzzle has been given additional definition via some mild changes to the image's shadowing. Additionally, the lion's eyes feature less of white shine and its six whisker marks seem to have had a tiny reduction in size. The 💀 Skull features the most immediately noticable change: it now features a jaw. An understandable addition, given the function of Animoji. The icon's teeth have also been made more pointed at what would be their joining with the gums on a flesh-featuring face. All in all, Monkey Island jokes ahoy. 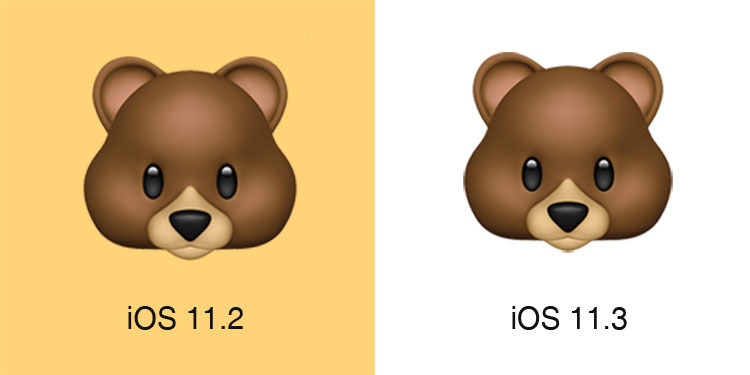 Next, 🐻 Bear Face has had the most suble changes made to its design. Outside of its colouring being very lightly tweaked, its chin is a teeny-weeny bit more pointed. Last but certainly not least, the new design of the 🐲 Dragon Face places more emphasis on the fire-breather’s head, making it more bulbous while reducing the size of its horns, whiskers and other peripheral attributes. It’s also gained an additional pair of teeth in its lower jaw and, of course, has had pupils added to its striking white eyes. 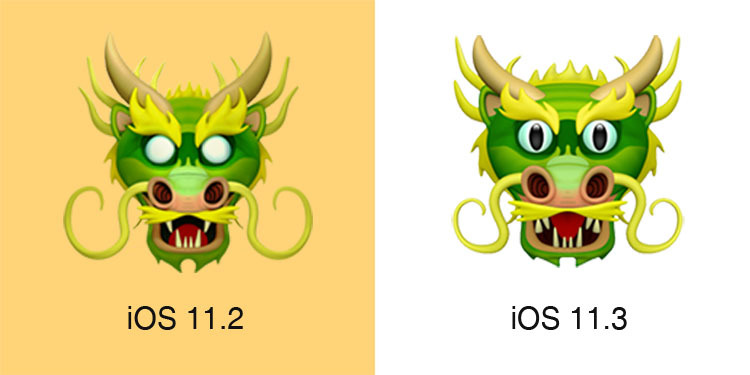 The 🐲 Dragon Face Animoji, and thus likely by extention its iOS 11.3 emoji design update, have come 'Mother of Dragons' approved. iOS 11.3, which contains this emoji update, is available from today. 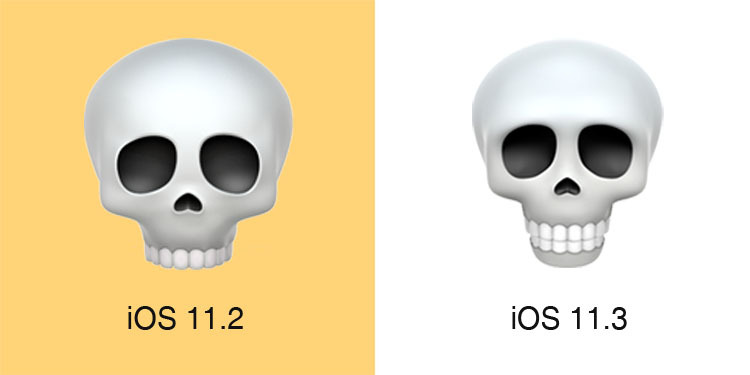 These emoji updates are also present in macOS 10.3.4, watchOS 4.3 and tvOS 11.3. This update brought the total number of Animoji available on iPhone X to 16, with previously available Animojis including 🐱 Cat Face, 🐶 Dog Face, 🐵 Monkey Face and 💩 Pile of Poo.